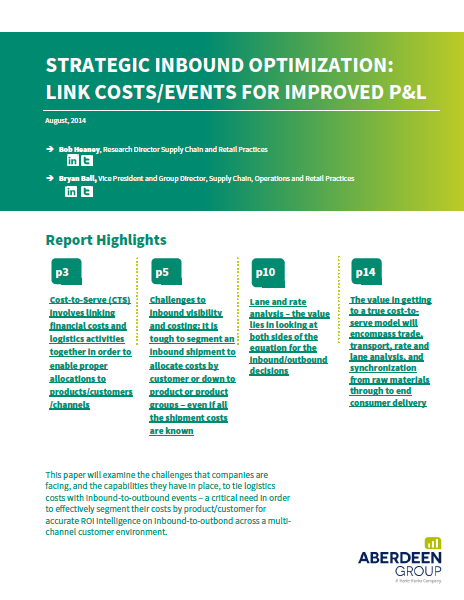 This paper will examine the challenges that companies are facing, and the capabilities they have in place, to tie logistics costs with inbound-to-outbound events ‒ a critical need in order to effectively segment their costs by product/customer for accurate ROI intelligence on inbound-to-outbound across a multi-channel customer environment. © 2019 Transnova. All Rights Reserved.